I'm really back into drinking wine again. When Elise visited New Zealand back in June we got together for lunch. She kindly brought me a couple of bottles of Californian wine. 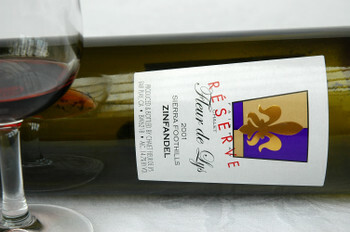 This week we opened the Zinfandel from Chalet Fleur de Lys . The Zinfandels I've tried in the past, and that is not many as there isn't much around in New Zealand, have been pretty ordinary. This bottle from the Sierra Foothills in California has changed by view. We drank it over two nights. The first night I served it with lamb backstraps which I pan seared, then splashed some verjuice and merlot jelly into the pan to make a sauce. A perfect match. Not such a good match the following evening with a Beef Strogonoff. It clashed with either the chili or the sour cream. I found the wine a good balance between fruit and oak with some nice berry flavours. Thanks Elise for introducing us to a lovely Californian Zinfandel.